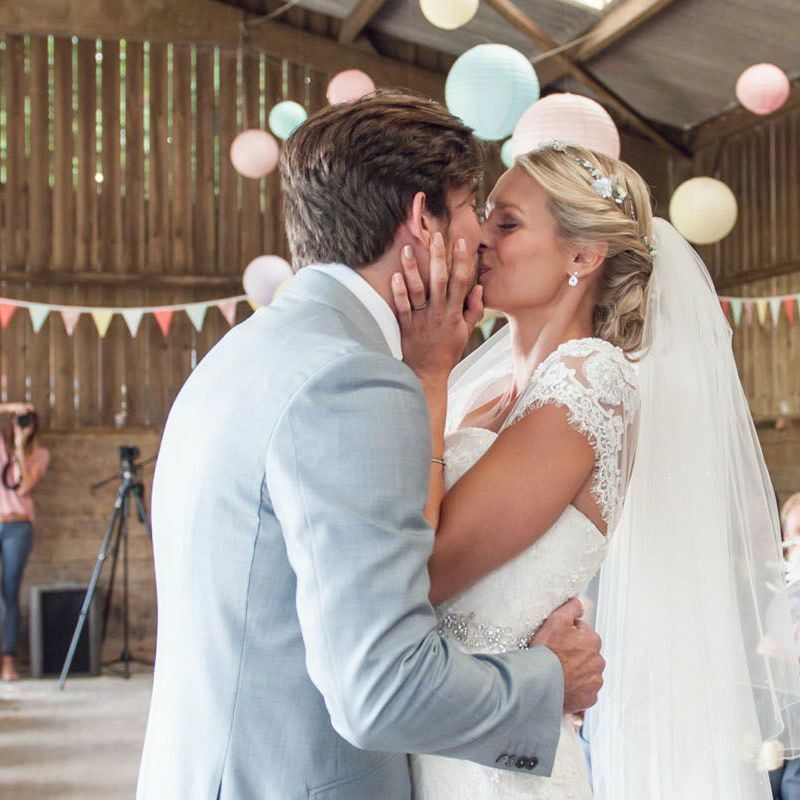 "We loved the venue from the moment we pulled up." "Thank you for everything you did to make our wedding incredible. We had the best day ever!" 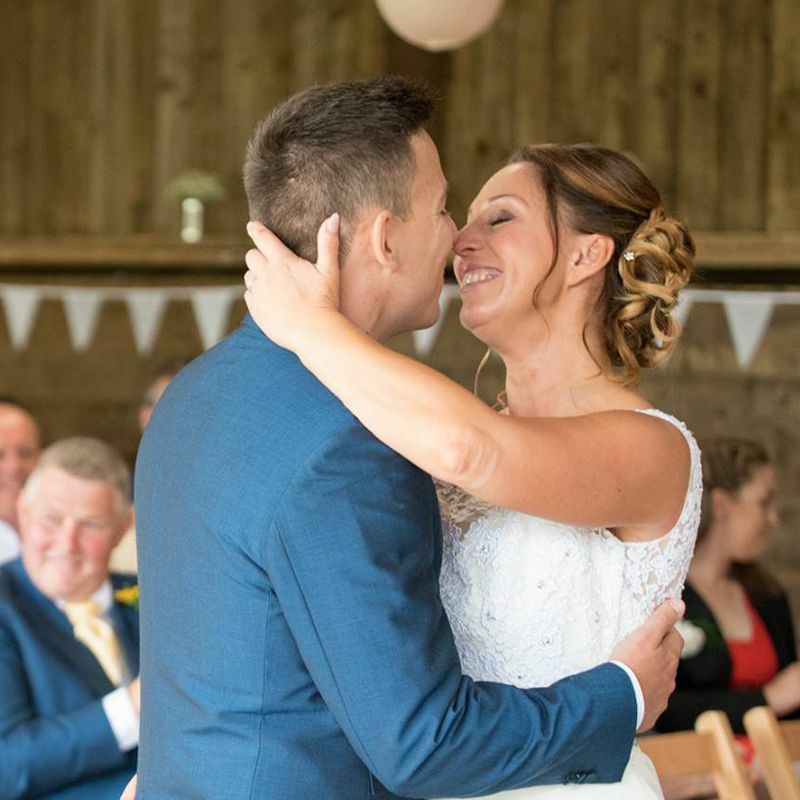 "Getting married at Dunwell was without a doubt the best decision we made in the process of wedding planning." 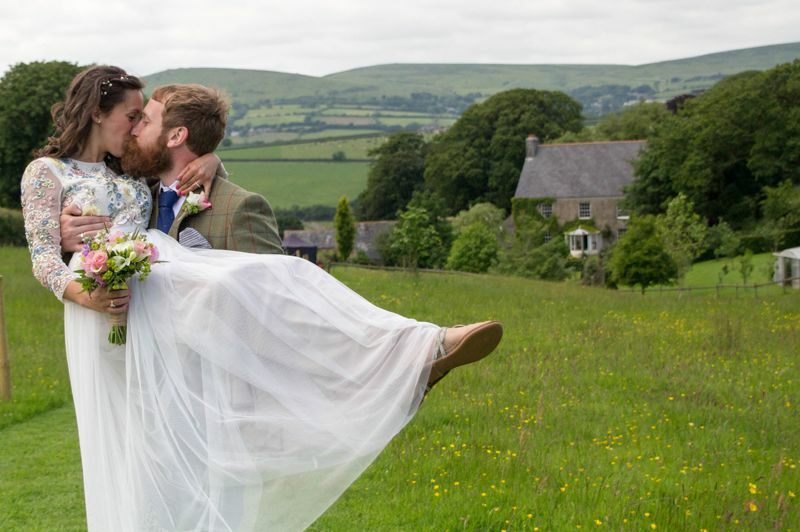 "We had a perfect day and the perfect location." "A big thank you for allowing us to hold our special day at your beautiful home." 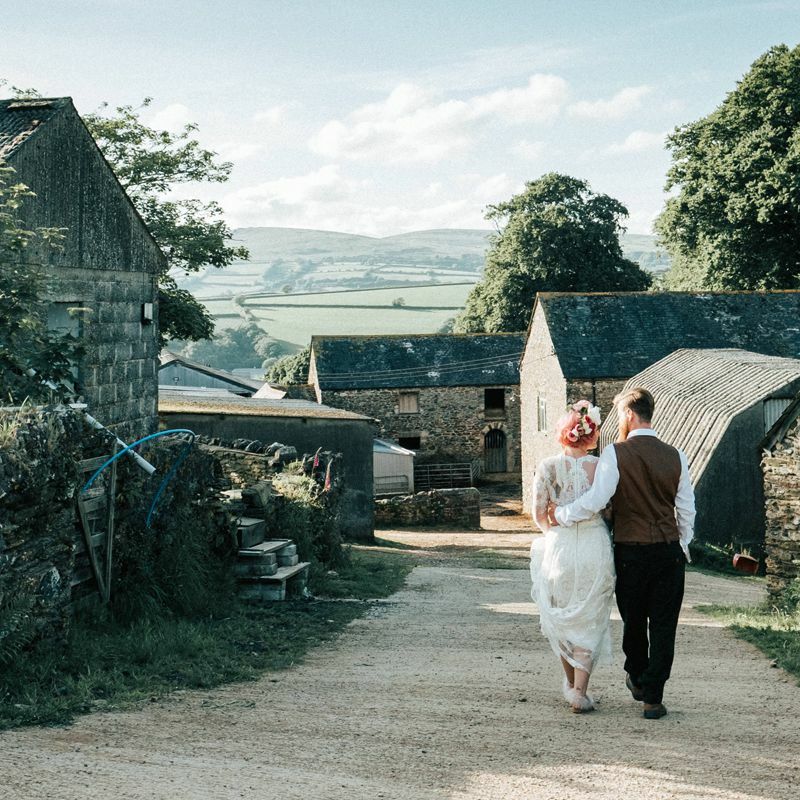 Welcome to Weddings at Dunwell Farm, the perfect rural wedding venue, which is ideally located in Ugborough, near Plymouth, in the heart of Devon. 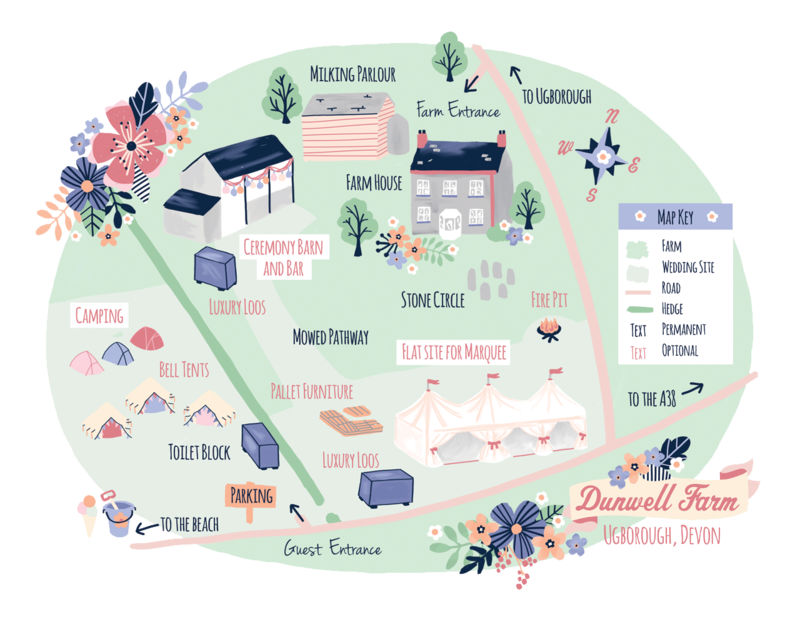 Hire of Dunwell Farm is for 4 days exclusive use. 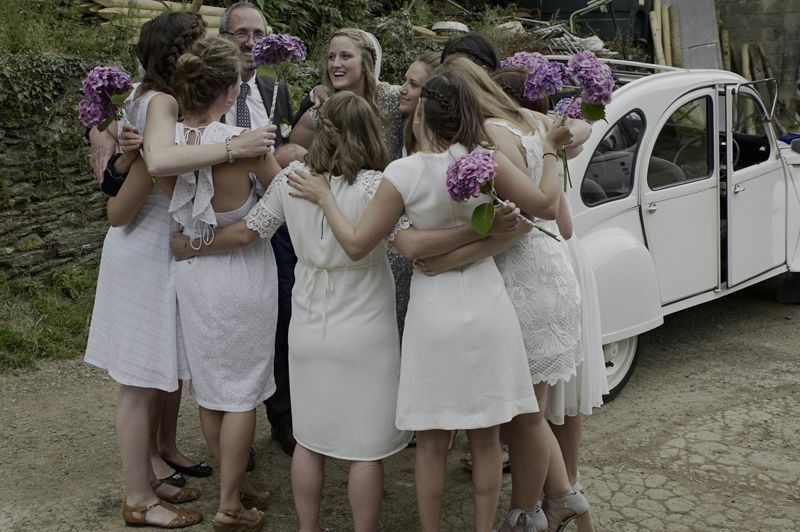 Licensed 3-sided wooden barn for civil ceremonies, straw bales to seat 150 guests, wooden archway for vows. 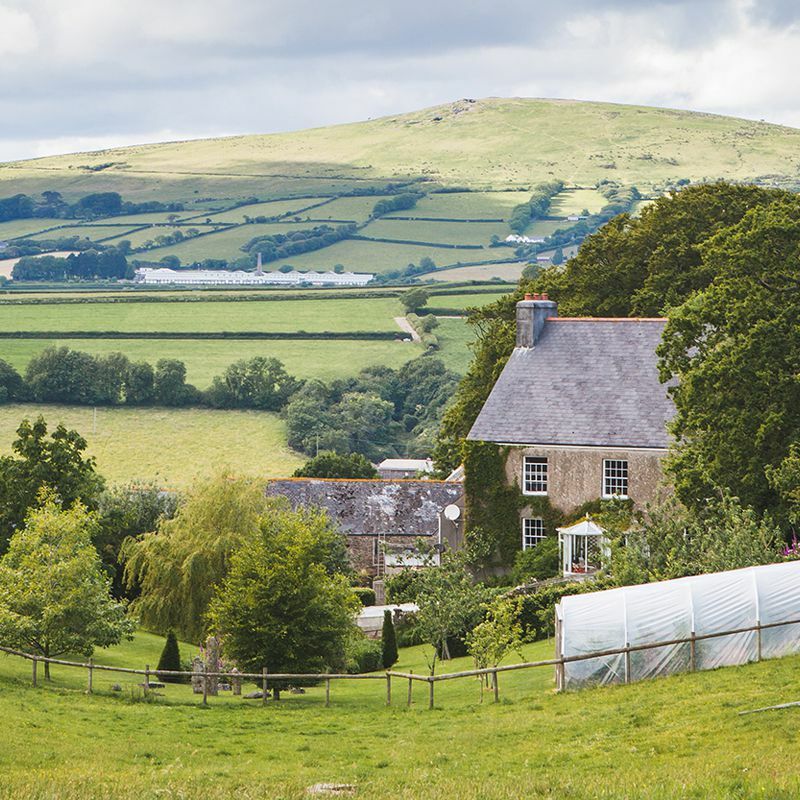 Levelled field with panoramic views over Dartmoor (with the option for clients to hire in a further marquee/yurt/tipi structure from outside companies). Reception drinks marquee and pallet furniture. Festoon lights surrounding the venue and lighting walkways, trailer toilets in marquee field and next to barn, electricity in both barn and field. Licensed, reasonably priced bar and glassware for tables. 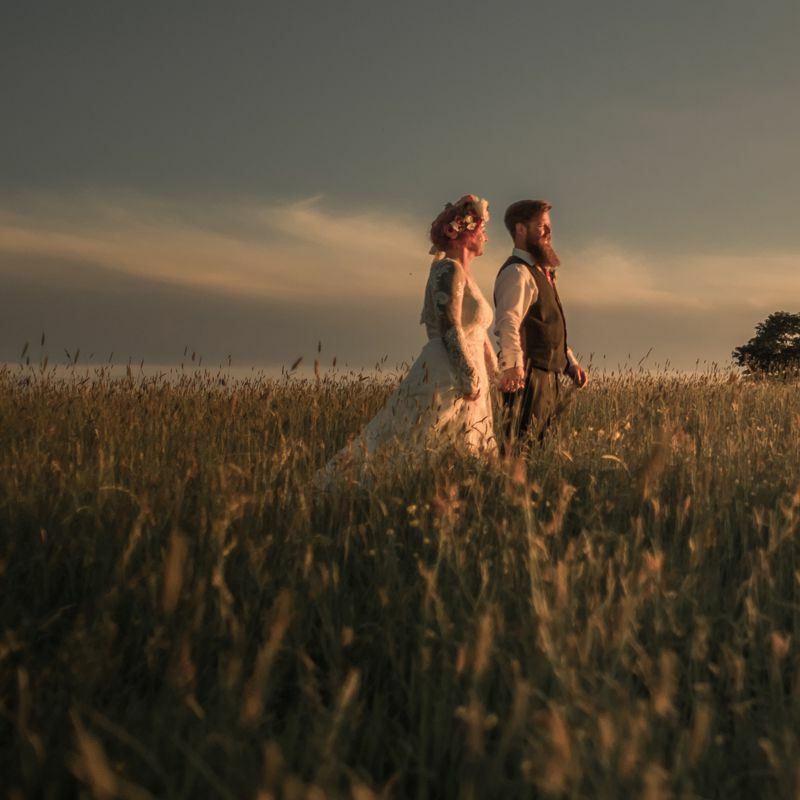 Staff to change the barn from romantic ceremony setting to wedding breakfast set-up, likewise staff to arrange the barn for your evening reception after your meal. Fire pit and wood for a bonfire at sunset. Wooden seating around the fire. Exclusive use of our campsite (10am check-in on first day of hire - 3pm check out on the 4th day of hire) - showers and toilets on site with space for 20 tent pitches and 5 furnished bell tents available to hire - see camping page for more details. Experienced wedding planning assistance from the moment of booking to the big day. A non-refundable deposit of £500 is needed to secure booking. Hog Roast £700 (feeds 130-150 guests) or Lamb Roast £600 (feeds 50-80 guests). Personalised wedding decorations, signs etc on request. Still very much in agricultural use, this barn sees the lambing of our 100 strong flock of ewes from December - May. It then gets a thorough scrub and hosts licensed wedding ceremonies from June - September. It's a three-sided timber framed barn with a concrete floor - the perfect blank canvas for couples to unleash their Pinterest and Instagram concepts. We can help you achieve these visions with a wide range of hand-made bunting, lights, paper lanterns and jam jars that we've collected and made over the years. As part of our hire price we include our 6m x 12m marquee. This is an ideal shelter which to serve guests a welcome drink after the ceremony. 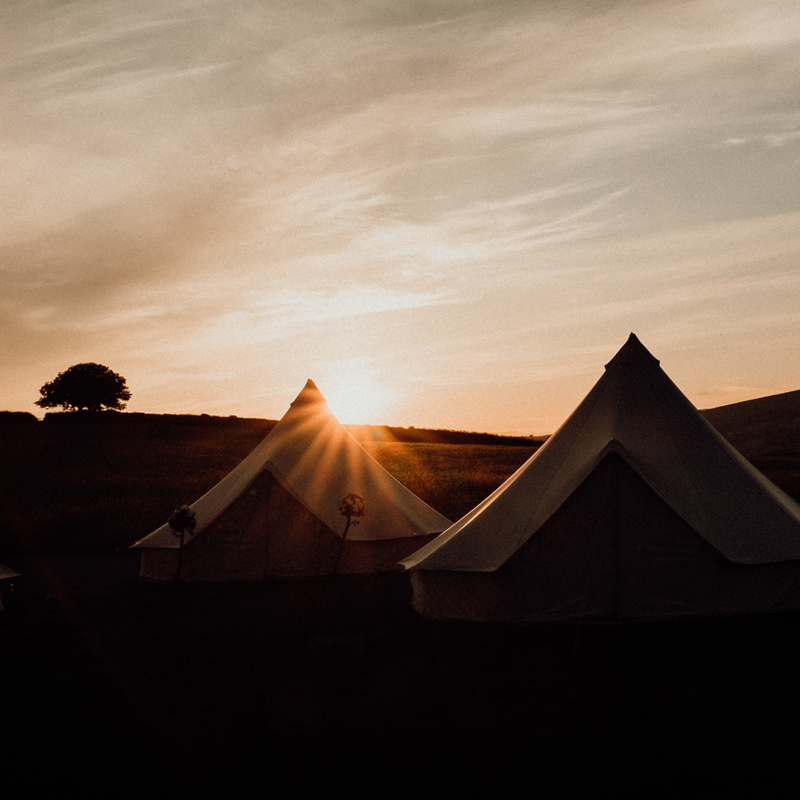 There's a 24m x 13m level area at the top of the field on which outside companies can erect marquees/tipis/yurts if you'd like to hire one in and hold your reception from there. Dunwell's fire-pit is the perfect place to sit on our handmade seats and watch the sun go down over Dartmoor on your special day. Additional costs to consider: registrar fee, photographer, flowers, marquee hire from external companies, entertainment.